Mr Timo Peltola should be re-elected as the Chairman of the Board, Mr Mikael von Frenckell as Vice Chairman, and Board members Mr Michiel Boersma, Ms Ainomaija Haarla, Ms Nina Linander, Mr Hannu Ryöppönen and Mr Markku Tapio should be re-elected for a further term of office. 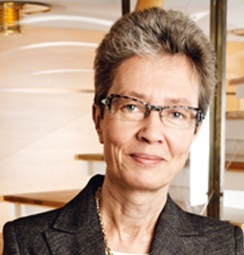 The Nomination Committee's candidate for a new Board member is Ms Maija-Liisa Friman, MSc. Shareholders' Nomination Committee was appointed in November 2009. According to the decision made by the Annual General Meeting, the Nomination Committee consisted of the representatives of the three largest shareholders as of 2 November 2009. The Nomination Committee comprised following persons: Director General, Mr Pekka Timonen from the Ownership Steering Department at the Prime Minister's Office; Mr Timo Ritakallio, Deputy CEO, Ilmarinen Mutual Pension Insurance Company; and Mr Risto Murto, Chief Investment Officer, Varma Mutual Pension Insurance Company. The Chairman of Neste Oil's Board of Directors, Mr Timo Peltola and Vice Chairman, Mr Mikael von Frenckell served as the Committee's expert members. There is career and other relevant information on all persons proposed for Board service at www.nesteoil.com. In addition, information on Ms Friman, who is proposed to be elected as a new Board member, is attached. Neste Oil Corporation is a refining and marketing company concentrating on low-emission, high-quality traffic fuels. The company is the world's leading supplier of renewable diesel. Neste Oil's refineries are located in Porvoo and Naantali and have a combined crude oil refining capacity of approx. 260,000 barrels a day. The company had net sales of EUR 15 billion in 2008 and employs around 5,200 people. Neste Oil's share is listed on the NASDAQ OMX Helsinki. Neste Oil has been selected into the Dow Jones Sustainability World Index and awarded 'Best in Class' recognition for its social accountability by Storebrand. The company is also featured in the Ethibel Pioneer Investment Register and included in Innovest's Global 100 list of the world's most sustainable corporations. Further information: www.nesteoil.com.